Planning your honeymoon after marriage can be a hectic job, especially if you don’t know where to start. Our Bali Honeymoon packages are designed specifically, keeping in mind the luxury & budget in hand so that you & your better half can have a perfect romantic getaway with unique inclusions, exceptional accommodation & breathtaking activities. We believe that honeymoons should be different from ordinary holidays. Therefore we curate only the best for you. If you want, we can customize the itinerary according to your choice. 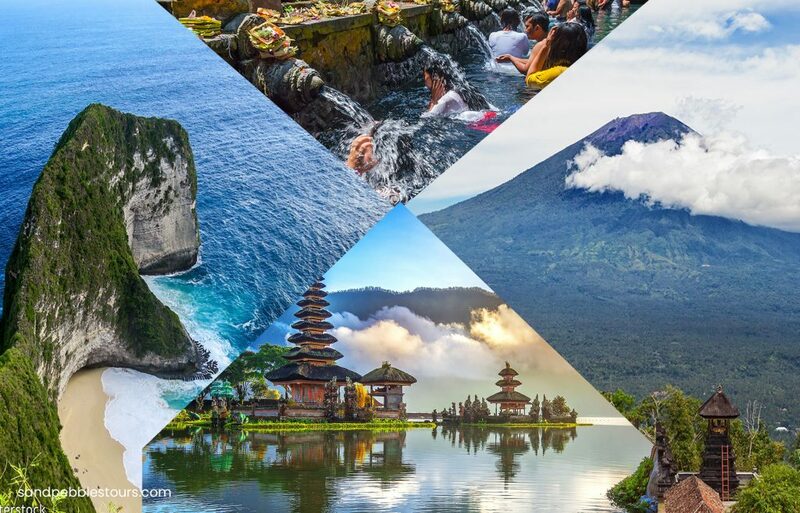 If you’re looking for some serene time with your beloved, the beaches, temples & other serene spots in Bali will surely give you memories for your lifetime. Arrive in Denpasar Bali – Transfer to your hotel for check-in (Check in time 14.00). Leave hotel to catch a boat to Nusa Penida Island from Sanur harbour at 06.30. Departure from Sanur with speed boat at 07.30 and arrive in Nusa Penida Island at 08.30. Greet and meet with our English speaking driver and take you to visit the most popular secret beach on the island. First stop will be at Angel Billabong Beach and Broken Beach; Nusa Penida is full of spectacular shaped locations. Broken Beach is one of them. A 150-meter walk from Broken Beach is a natural infinity pool where you can dip in and enjoy the clearest water you’ve ever swum in. Then drive to Kelingking Beach; Visiting Kelingking viewpoint is one of the most famous things to do on Nusa Penida. The 200-meter high drop down overlooking the T-rex head and the beach is just mind-blowing. Then drive to the Saren Cliff Point at Nusa Penida for lunch, the towering cliffs, sturdy and stout challenge the strength of the ocean waves. The place will look more beautiful when seen at twilight with the beauty of the sunset shining with yellow colour. Of course, the matchless beauty will give you a feeling very lucky to take this tour. After lunch we drive to Crystal Bay is the name of a secluded cove with a 200-metre stretch of sand on the west coast of Nusa Penida Island. Despite its isolation, the bay is quite accessible thanks to well-developed roads. Besides its beautiful palm-fringed beach, the bay is best known as one of Nusa Penida’s famous snorkelling and dive sites. Near the shore, the waves are swimmable during calmer tides with crystal-clear waters, hence its name. Divers praise the superb visibility, sometimes down to 30 metres. Back to Nusa Penida harbour and leave for Bali at 16.30. Arrive in Sanur harbour Bali and transfer to your hotel for overnight. 07.00: Breakfast at hotel with American/Indonesian breakfast. 07.00: Breakfast at hotel with American/Indonesian breakfast; 08.00 am, Pickup from the hotel in your Private SUV car ∙ Ubud palace; Traditional Balinese palace located in Ubud. Gratuities and expenses of a personal nature; Travel insurance. Meals not mentioned in the itinerary.